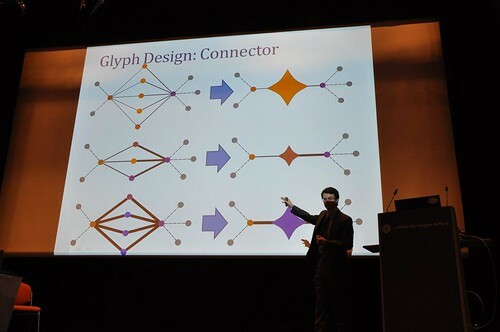 Here is Dr. Cody Dunne speaking about a new information visualization technique called “Network Motif Simplification” at the recent CHI 2013 conference in Paris, France. 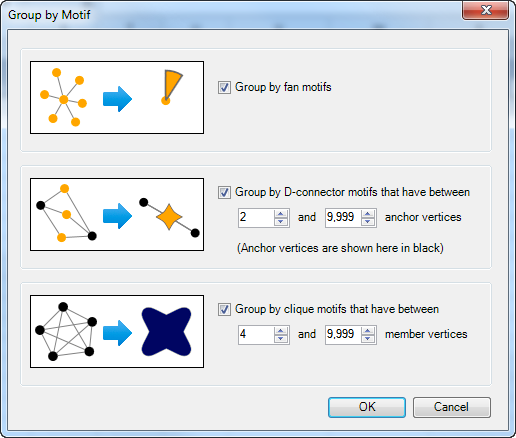 Networks, no matter how complex, are composed of simpler, smaller structures, called motifs. 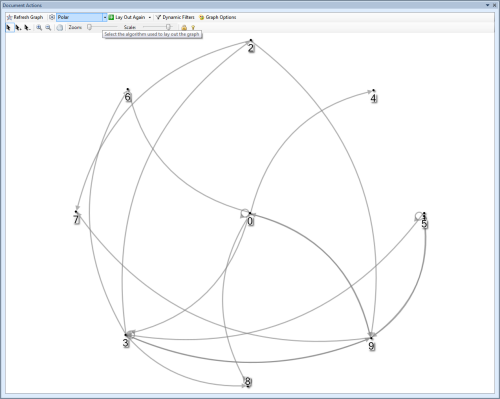 Some of these structures are easy to identify, like the pattern of a “star” where a single node acts as the sole connection to a connected component for one or more “pendant” nodes with a single tie. 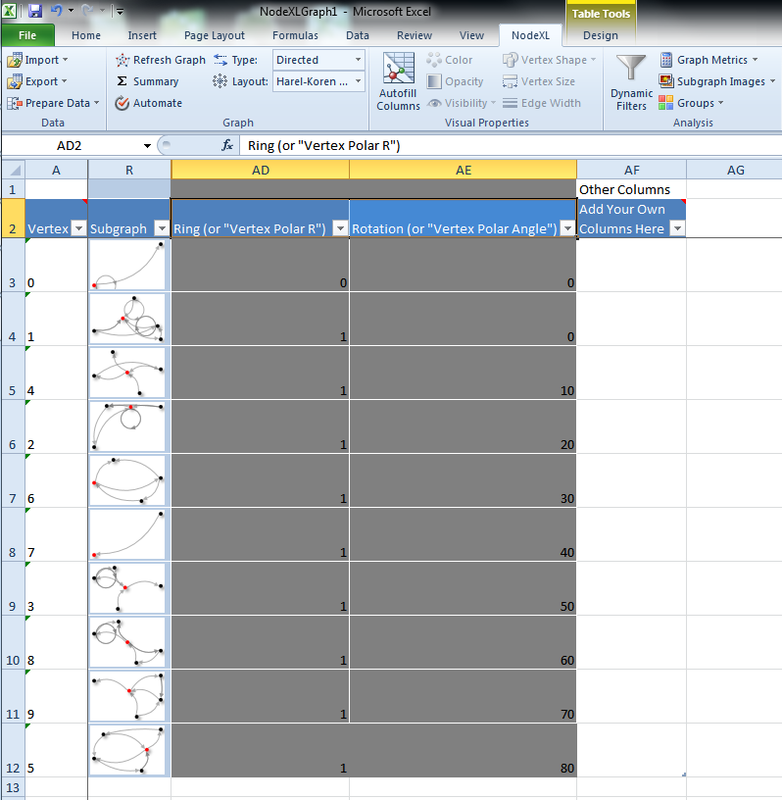 Another common pattern are nodes that are “parallel bridges” which share the only two connections they have with two or more other nodes. These common structures can be identified and removed and replaced with more efficient and comprehensible representations. 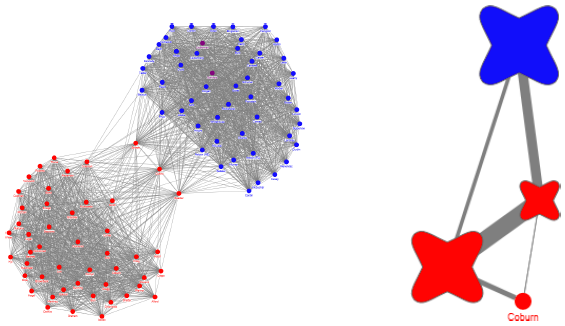 The result is a simplification of the network visualization, removing clutter to reveal the core structural properties of interest. 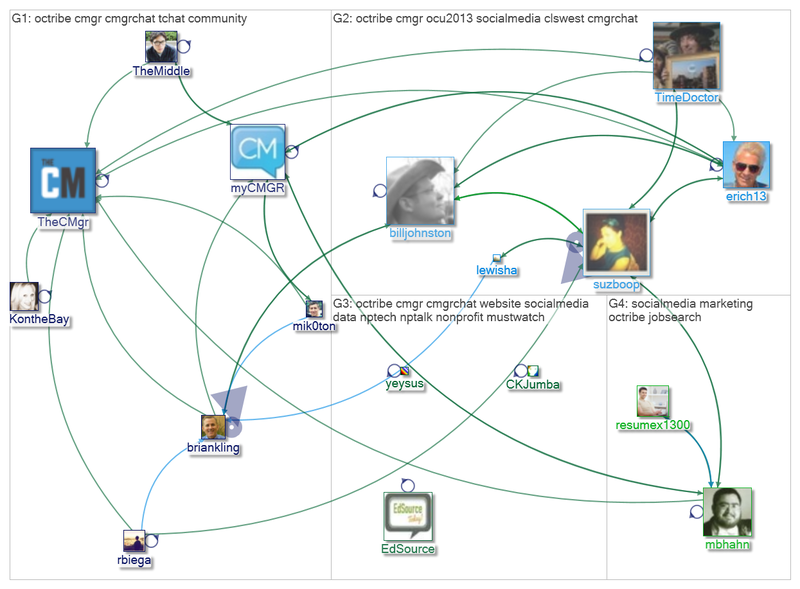 This method for collapsing complex network graphs into simpler forms has been implemented in NodeXL. 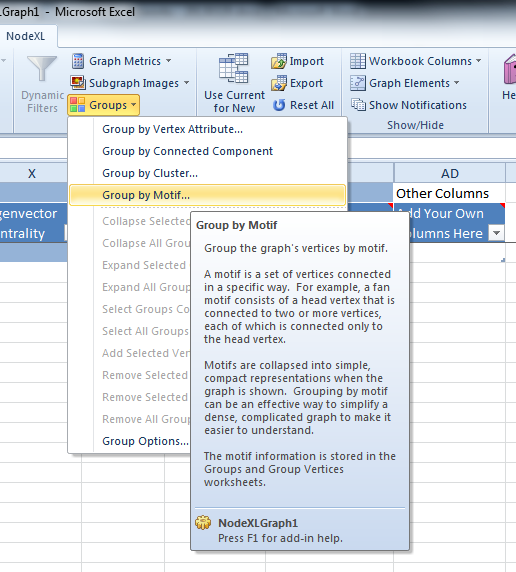 Look for the feature in the NodeXL Ribbon menu, in the NodeXL > Analysis > Groups > Group by Motif… option. 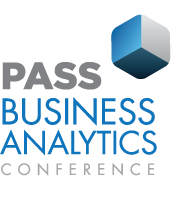 The paper has been reviewed by Stephen Few on the Perceptual Edge Visual Business Intelligence blog. 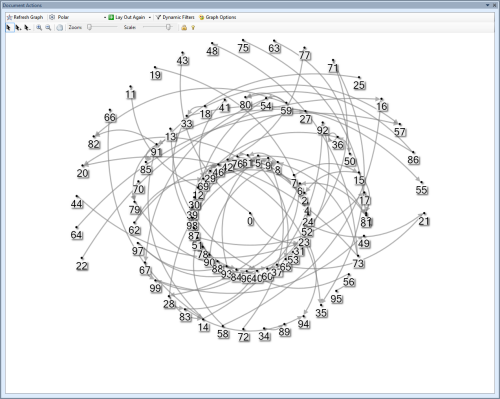 When a particular node in a network is of special interest it can be useful to create a network visualization in which it is located at the center of concentric rings of vertices. 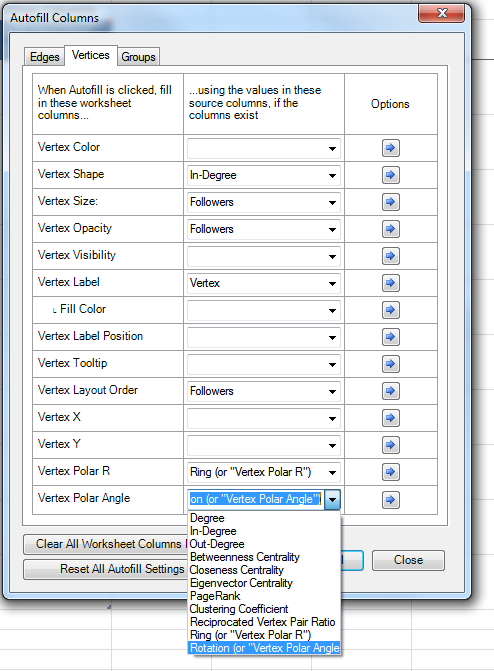 NodeXL supports a “Polar” layout in which each vertex has two values that govern its location: distance from center (“Vertex Polar R”) and the angle around the clock (“Vertex Polar Angle”).